and every moment is relevant to you, by design. Welcome to the dream team of entrepreneurial expertise. It’s in our name: Event of Champions. And it is just that, a gathering of the top minds and success stories in the industry. This is the best of the best. As our guest, you will be enfolded into this rare opportunity to gain exclusive insight into the secrets behind the success – without being sold to throughout the event. You will leave with armed with information to go out and Live like a Champion! 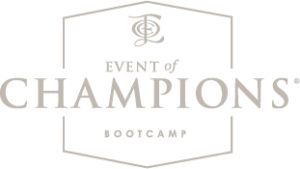 The Event of Champions offers high-energy, mega-impact, real-world knowledge delivered in a way that amps up the content being delivered. It is empowering. Inspiring. Immersive. Thrilling to be among the brightest minds in the world. Intimate. 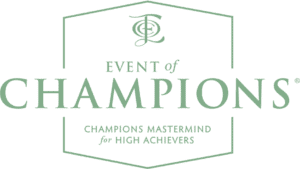 And throughout, the Event of Champions is up close and personal, where you’ll have the opportunity to speak one-on-one and learn from those who have accomplished their dreams, leaving you with knowledge that can be immediately implemented for success. From the moment you sign up, know this is a decision that will propel your success forward. 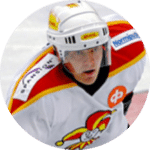 It’s a seed planted that blooms throughout your experience with the Event of Champions – where every piece of knowledge imparted along the journey is relevant to your rise in status. We want you to become a part of our inner circle of success. Here, every interaction holds meaning and offers a chance for the forward momentum of your goals with actionable takeaways at every turn. Founded by Andrew & Camilita Nuttall, the Event of Champions is an inspiring series of networking and mentoring events that deliver actionable plans for success for those with an entrepreneurial spirit by connecting them to those who can help them achieve their business goals and reach their full potential. The embodiment of entrepreneurial success. Our passion is delivering valuable and quality content that promotes success, so those who attend leave armed with the tools to immediately increase their wealth, gain prestigious recognition and grow their newfound network of the best entrepreneurial minds in the world. Our greatest hope is that every life we touch goes on to positively impact the world through successful business ventures. 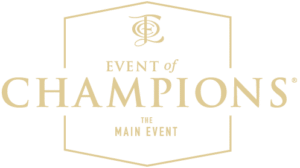 Join us around the world at the Event of Champions events. Whether we are in Bali or Barbados for The Investors Paradise Retreat or in Toronto, London, Caribbean, Australasia, Europe, Asia, Africa or the Middle East for The Main Event, Bootcamp or Champions Mastermind, we are here to see that every entrepreneur who attends goes on to Live Like a Champion! Opportunities to grow and build a global brand. Plus exclusive environment to be open and honest about your business goals and get immediate recommendations from the audience. This was an amazing event, I’ve attended many conferences and meetings and Camilita’s Event of Champions is truly that, I’ve made international connections, friends, business, had a wonderful time. I would recommend it whether you are starting a business, a successful entrepreneur or just really looking to expand your network and frame of influence. I’m here at the Event of Champions and what an amazing event and an amazing opportunity to be in a room full of champions. You have to ask yourself, are you in the right room? Are you in with the right people? I can tell you that if you have not been to this event, you’re not with the right people. Don’t miss the next event Event of Champions.